The operation runs like clockwork, seven days a week, every waking hour, without significant variation. If Philip Cross genuinely is an individual, there is no denying he is morbidly obsessed. I am no psychiatrist, but to my entirely inexpert eyes, this looks like the behaviour of a deranged psychotic with no regular social activities outside the home, no job (or an incredibly tolerant boss), living his life through a screen. 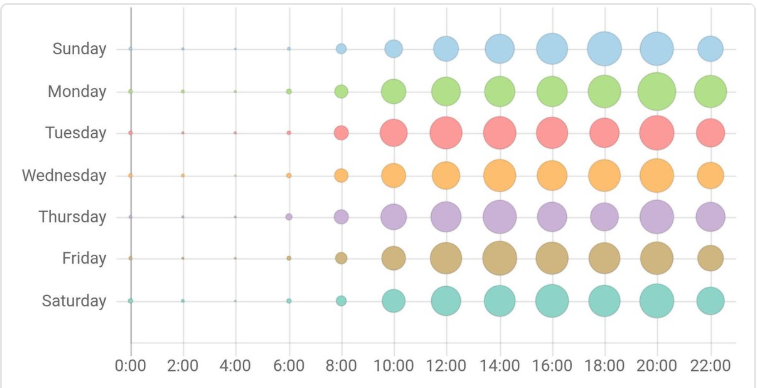 I run what is arguably the most widely read single person political blog in the UK, and I do not spend nearly as much time on the internet as “Philip Cross”. My “timecard” would show where I watch football on Saturdays, go drinking on Fridays, go to the supermarket and for a walk or out with the family on Sundays, and generally relax much more and read books in the evenings. Cross does not have the patterns of activity of a normal and properly rounded human being. 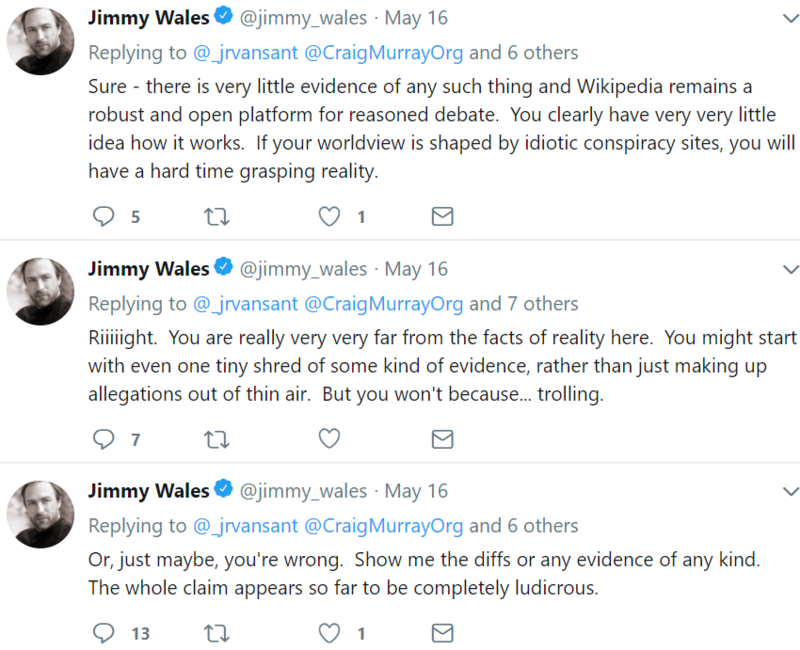 This matters because, an ordinary reader who comes across an article questioning (say) the official narrative on the Skripals, is very likely to turn to Wikipedia to get information on the author of the article. Simply put, the purpose of the “Philip Cross” operation is to make certain that if that reader looks up an anti-war person such as John Pilger, they will conclude they are thoroughly unreliable and untrustworthy, whereas if they look up a right-wing MSM journalist, they will conclude they are a paragon of virtue and entirely to be trusted. Just as revealing are the people who “Philip Cross” seeks to protect and promote. Sarah Smith, BBC Scotland’s uber-unionist, has had “Philip Cross” kindly delete references from her Wikipedia entry to family ties that (ahem) may have helped her career. Labour Friends of Israel’s Ruth Smeeth MP has had reference to the Wikileaks released US diplomatic cable that showed she was an informer to the US Embassy on the secrets of the Labour Party, deleted by “Philip Cross”. Right-wing columnist Melanie Phillips had her embarrassing climate change denial excised by Cross. “Philip Cross” not only carefully tends and protects the Wikipedia entry of Guardian editor Katherine Viner, who has taken the paper foursquare into the neo-con camp, Philip Cross actually wrote the original hagiographic entry. The Guardian’s MI6 contact, Luke Harding, is particularly looked after by Cross, as are their anti-Corbyn obsessives Nick Cohen and Jonathon Freedland. So is Murdoch hacks David Aaronovitch and Oliver Kamm. There is no doubt that Kamm, leader writer of Murdoch’s Times, is close to the “Philip Cross” operation. Many people believe that Kamm and Cross are the same person, or that Kamm is part of a multiple personas. 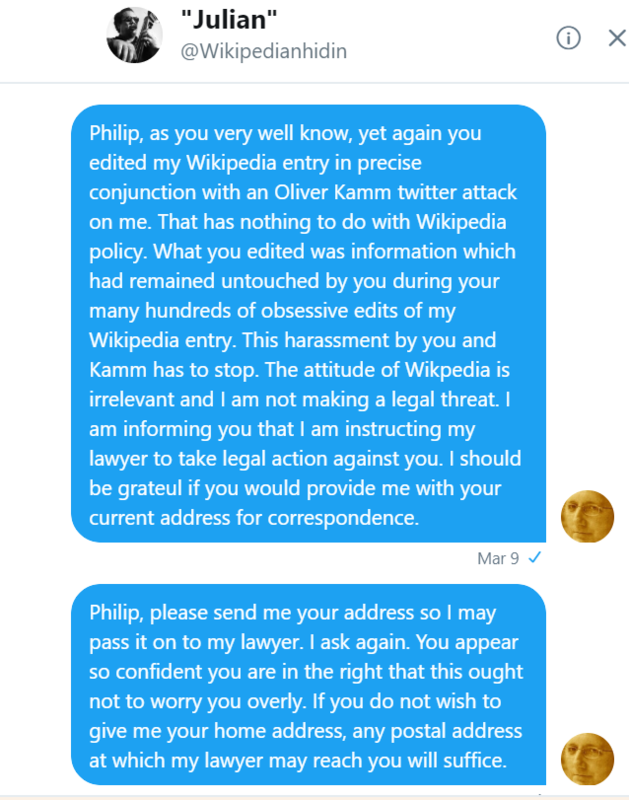 Six times I have personally had hostile edits to my Wikipedia page by “Philip Cross” made in precise conjunction with attacks on me by Kamm, either on Twitter, in a Times editorial or in Prospect magazine. Altogether “Philip Cross” has made 275 edits to my Wikipedia page. These include calling my wife a stripper, deleting my photo, removing my reply to attacks made on me by Kamm and Harding among others, and deleting my refusal of all honours while a British diplomat. What is plain is that Kamm and Cross have extremely similar political views and that the dividing line of those they attack and those they defend is based squarely on the principles of the Euston Manifesto. This may be obscure, but is, in fact, an important Blairite declaration of support for Israel and for neo-con wars of intervention, and was linked to the foundation of the Henry Jackson Society. Who do we find editing the Wikipedia entry for the Euston Manifesto? “Philip Cross”. 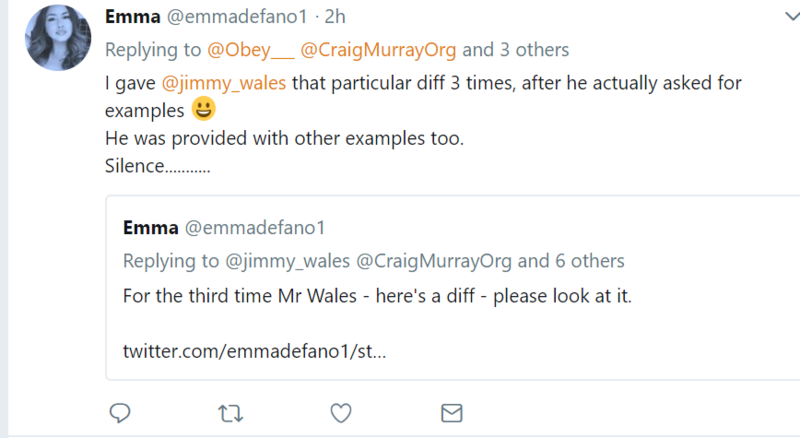 The extreme defensiveness and surliness of Wales’ twitter responses on the “Philip Cross” operation are very revealing. Why do you think he reacts like this? Interestingly enough. 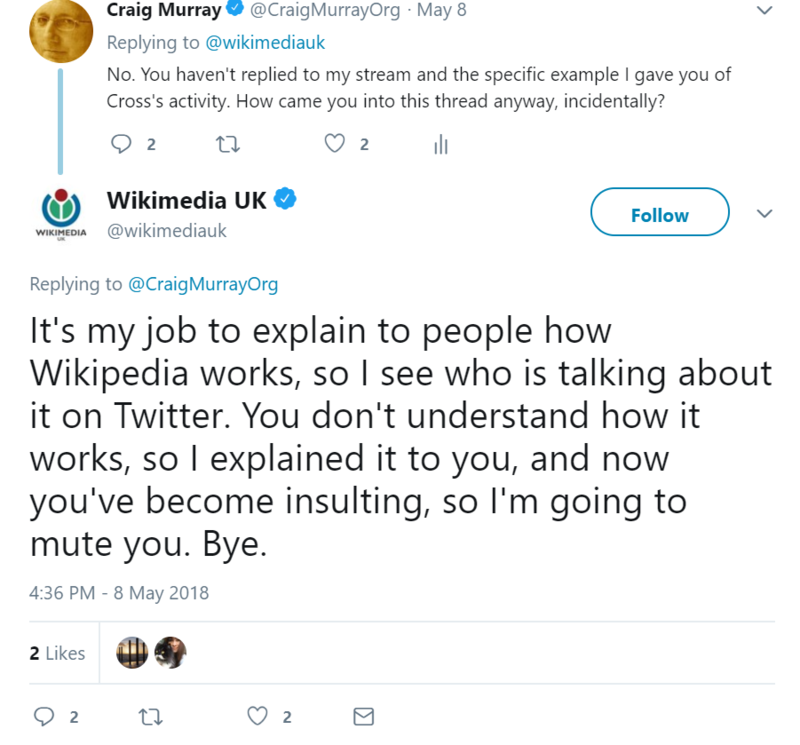 Wikipedia’s UK begging arm, Wikimedia UK, joined in with equal hostile responses to anyone questioning Cross. My view is that Philip Cross probably is a real person, but that he fronts for a group acting under his name. It is undeniably true, in fact, the government has boasted, that both the MOD and GCHQ have “cyber-war” ops aiming to defend the “official” narrative against alternative news media, and that is precisely the purpose of the “Philip Cross” operation on Wikipedia. The extreme regularity of output argues against “Philip Cross” being either a one-man or volunteer operation. I do not rule out however the possibility he genuinely is just a single extremely obsessed right-wing fanatic.